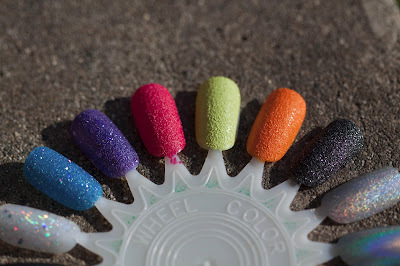 My Part-Time Beauty Blog: Nail Wheel Swatch-fest! I've lately become a little obsessed with nail polish. I want it all: creams, glitter, matte, texture, holo, frost, you name it. So, I went a little bonkers and filled a nail wheel with some of my current favorites and a few comparisons. 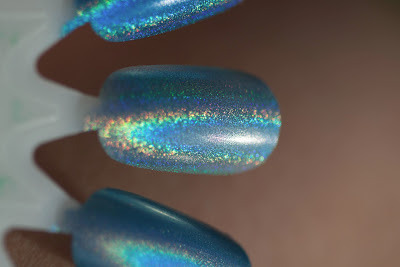 I really like the two holo nail shots. You can really see the difference between the two of them. 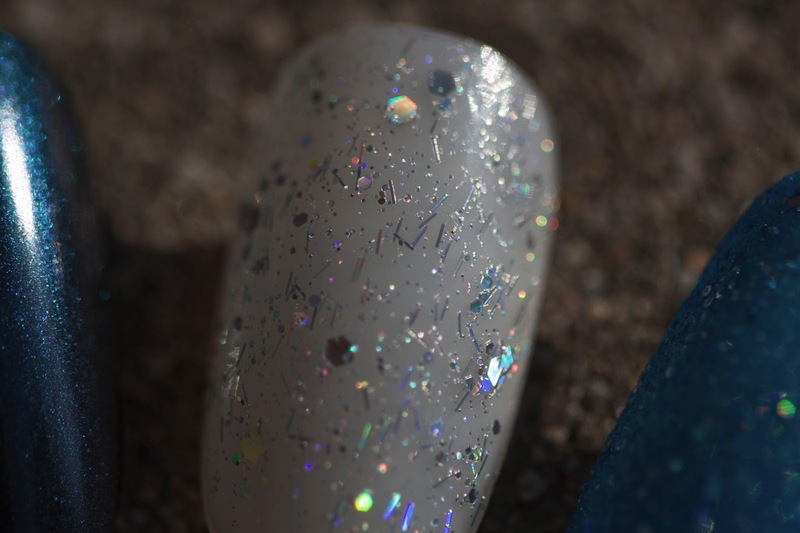 The China Glaze has a much more subtle holo than the Layla, though both are nice and I'm glad to have them both in my collection, must own all the holo. 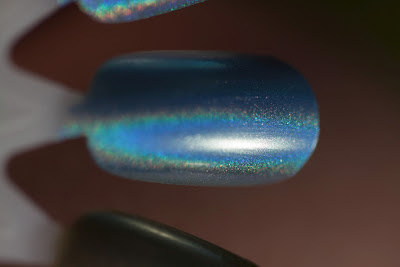 The Sally Hansen was a gem I found in my stash before I found/was able to buy any other holos. It's less linear and more of a scattered holo, but it does have a bit of linear holo to it. I love it, either way. Another holo, this one not linear or scattered really. I love the little holo particles, larger hexes, and holo bar glitter. Another thing I'm digging is the textured polish craze. 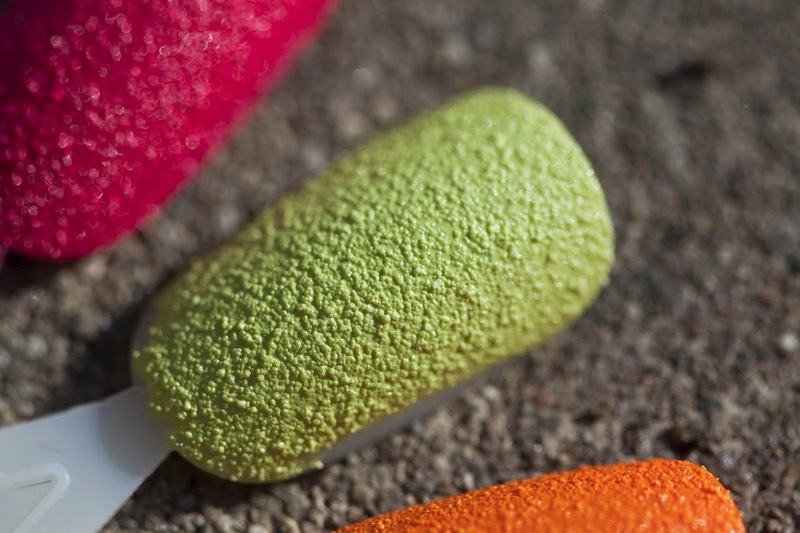 I did a blog post about it a few weeks ago, but decided to swatch all my textures. The blue and purple on the left are OPI shades from the Miriah Carey collection. The pink, green, and orange are from the new China Glaze Texture line, and the black on the right is a Zoya Pixie Dust, Dahlia to be exact. Lastly, I have a side by side of my holos. As you can see, the China Glazes on the right are much less noticeable. 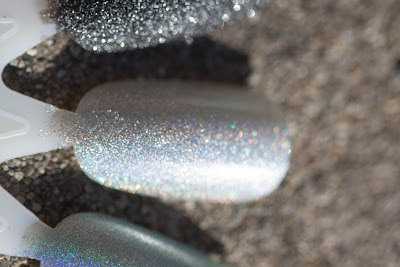 These shots were taken in full sun with no top coat. I hope you've enjoyed some of my current favorites. Any you wish you had? Any I need to keep my eye out for? I got the same 3 China Glaze Texture polishes. I am kinda obsessed with the texture trend at the moment and want to get MOAR! I've only worn them once, but I do love the texture trend. I'm more in love with the matte glitter texture than the plan old texture.